Welcome to this delightful home on a large .14 acre lot nestled in the well-established neighborhood of Forest Hills! 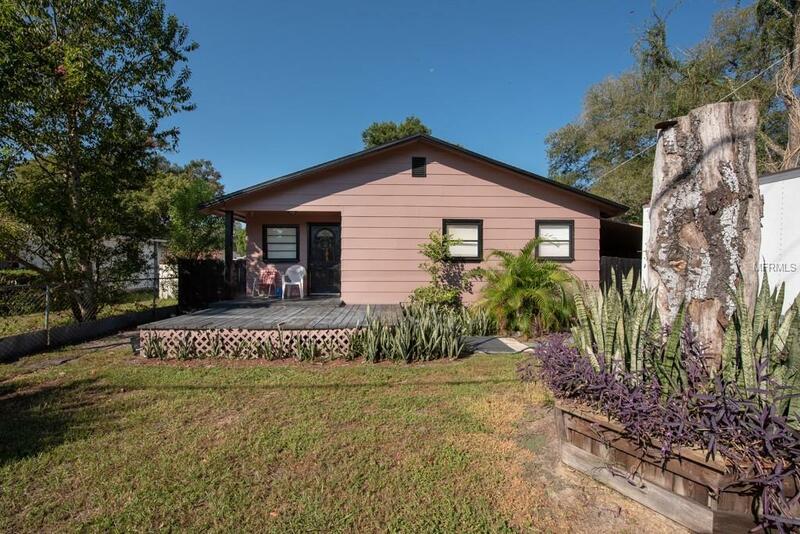 The excellent location borders Seminole Heights and is mere minutes from Down Town Tampa community that is thriving, near to Lowry Park Zoo and Seminole Heights. This charming 3 bedroom 1 bath BUNGALOW features a big wooden front porch deck to enjoy the sunny outdoors. The spacious OPEN KITCHEN boasts plenty of cabinets, hardwood floors and large windows for plenty of natural light. The house is plumbed to the floor for installation of a second bathroom, has a covered car space and laundry hook ups are located inside. The very best feature of this home is the expansive fenced in back yard with so much space & privacy, the possibilities are endless. This home is centrally located & just minutes away from shopping, dining, entertainment & most major highways & interstates. AndBEST of ALL--there are NO HOA fees, no CDD fees, and no deed restrictions!